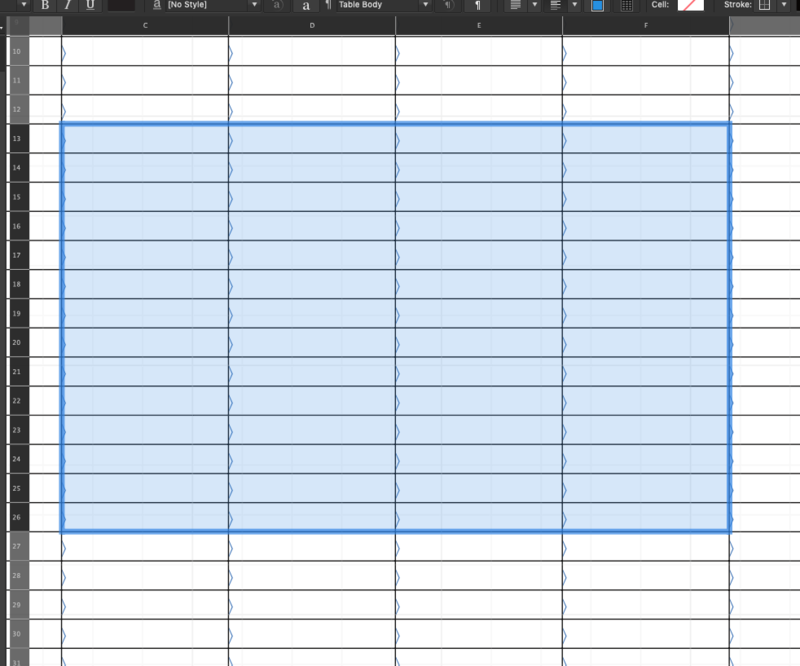 In a table the stroke of multiple selected table cells often doesn't change and update accordingly. 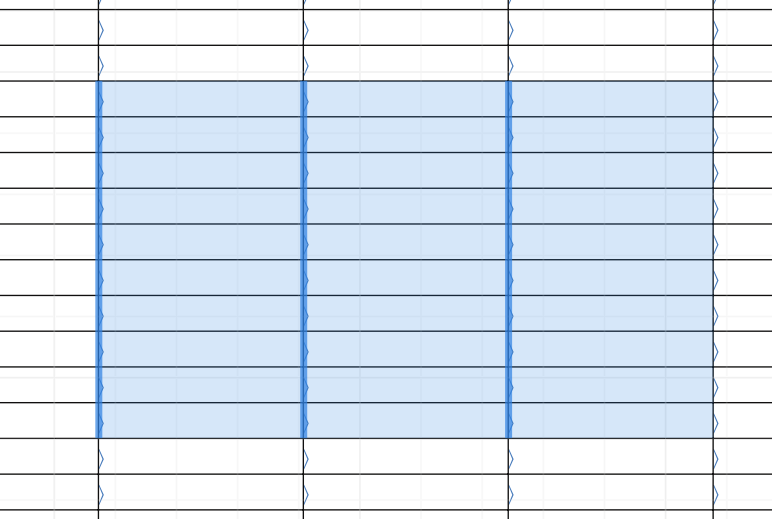 When I select all cells of a table in order to set their stroke to none and stroke size to 0, only few cells (randomly) are affected and updated. Many cells still do show a stroke there, even when afterwards the settings of some individual selected/active cells do show "none stroke" and "size 0" there is still a visable none removed stroke. One always has to reclick and retouch the stroke size slider of such cells in order to get them updated and to show up no stroke at all. I've looked into this and it seems that depending on where you initially click and drag to select cells it changes what is selected. I think this is why you're getting issues trying to adjust the stroke. However if you begin by clicking and dragging from the edge of a cell, it will select that same edge in all the selected cells. So when you edit the stroke for example, it will only edit that edge. An additional problem then arises, that once you've made a selection like the second image you can't actually make a selection like the first, despite clicking the centre of a cell. It isn't until you type/edit some text in a cell that you make that selection again. I've queried this behaviour with development as it can be quite confusing if you're not aware. With this knowledge would you be able to retry the issue you were having in the latest build and let us know if that was the cause, or there is something else going off. If there is something else happening, could you do a screen recording please? Most of what you described is an interesting and potentially useful capability, but this piece of it smells like either a bug or a design flaw to me. You shouldn't need to modify something in the document in order to select something in the document that was already there. 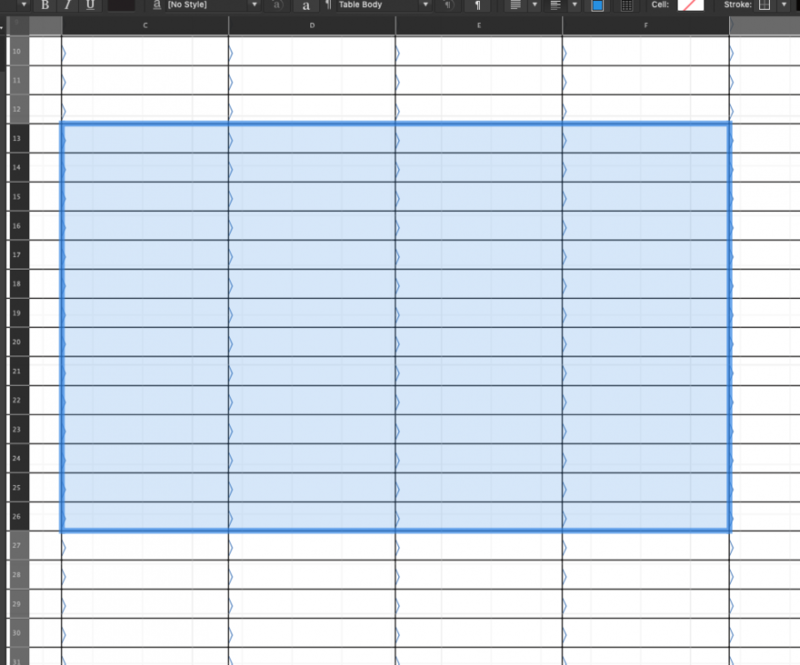 I didn't selected the way like what you describe there at all, instead I used the outer spreadsheet like top cell anchors (A, B, C ... 1, 2, 3, ...) for selecting whole columns/rows here. So all related rows/columns were selected when I applied stroke color changes. And as said above (two months ago) not all selected cells did then visually changed/update accordingly, some didn't recognized to update at all and I had to manually go over all those and reapply to force the stroke change. - I discovered this when playing and setting up colored columns inside tables in this pocket cal here. Yeah, there is definitely an issue there so I have reported that to development! Ahh ok, just been trying this using the Column/Row heading selections and I can't reproduce this so it's likely its been fixed along the way. If you are still able to reproduce it, could you grab a screen recording and attach any files that it happens to please?